We spend time picking our seeds and cuttings from our many different suppliers. We have developed a reputation for high quality and top of the range varieties. We want you to be different from all the others so we grow much of our range in bigger colourful pots. They are bar coded too for your convenience. 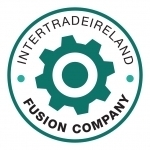 We are strategically located, just 15 minutes from the M50 making it easy to deliver to your door within 24-48 hours. Orders can be taken over the phone or by email, seven days a week. As a final step in our customer service, one of our family will be delivering your product. With over 250 products you will be spoilt for choice. Come and see us to get an idea of our range. 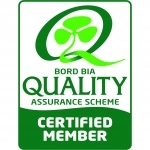 We are proud members of the Bord Bia Quality assurance program and are delighted to bring a new level of quality and service to the Irish Horticulture Market.